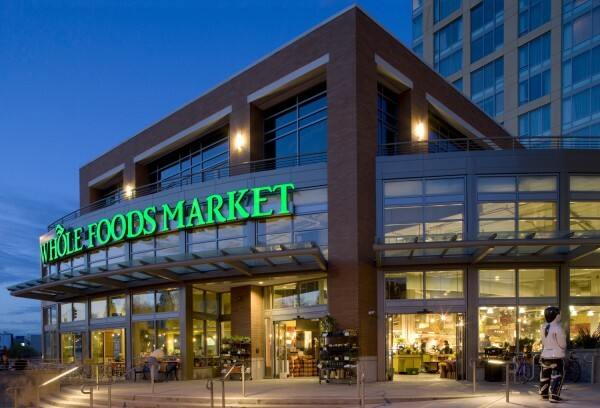 Amazon's increasingly overt and aggressive push into the grocery retail market has officially gone into full-blown, alarm-blaring fever-pitch mode today as its plans to acquire the brick-and-mortar chain Whole Foods was publicly announced. Under the terms of the tentative deal, Amazon will pay $42 per share of Whole Foods stock for a total purchase price of $13.7 billion. At the end of trading yesterday, Whole Foods was going for around $33 per share, making Amazon's offer represent a reasonable 27 percent premium. The news has sent shockwaves throughout all affected industries: financial analysts, other grocery store executives, and emerging players in the online grocery retail business are each trying to piece together what this move will translate to in the next couple years. After turning nearly every corner of the retail market on its head, Amazon has seemed to turn its undivided attention to the one segment that, for years, analysts suggested was largely immune from Amazon competition -- grocery. After all, things like fresh produce, frozen and refrigerated foods, and other perishable items cannot be easily shipped to every corner of the country. And previous attempts by Amazon to enter this space have been relatively small in scale: couriered same-day delivery service in major cities, large investments in selling and advertising non-perishable grocery items, etc. However, it seemed to find the true path to success in this field by realizing that it's okay to invest in physical retail space. Rather than radically shift the delivery method for groceries in the way it has done for electronics, toys, games, books, tools, appliances... (you can continue the list), it is instead focusing on shifting the way you interact with the same kind of physical retail space with which you are already familiar. There is no better example of this than Amazon Go, a physical grocery store concept where shoppers "sign in" to the store as they enter, then a sophisticated array of security cameras and widespread sensors can detect everything they take from the store shelves. Then, as they leave the store, it charges the payment method on file -- no need to remove items at a checkout lane, have them scanned, and then reorganize them later. The other concept Amazon is toying with is having physical "store" locations, called AmazonFresh Pickup, that act as little more than glorified warehouses. Customers select what groceries they want online, then go to a nearby AmazonFresh Pickup location to pick up their order. The other major players in the grocery retail field, which used to be seen as one of the most solid and unshakeable industries, have been scrambling to catch up. Most now also offer the ability to order online and pick up at a store, with curbside/deliver-to-your-car options becoming increasingly popular. It would seem a fair guess that a major factor in Amazon's latest, and potentially boldest, acquisition is real estate -- Whole Foods stores are mostly located in upscale neighborhoods that would be the most likely early adopters of whatever new high-tech features it will inevitably introduce to these store locations. Exactly what Amazon plans to do with Whole Foods, though, is subject to wild speculation at this point. But when Amazon invests more than $13 billion in an effort to revolutionize a market segment and destroy its competitors, there is every reason to believe it will be able to achieve exactly that.